Hey everyone! It's such a dreary Sunday here... so a good day to sit on the couch & blog! And I have lots to talk about, because I am trying a LOT of mascaras right now. I realize not everyone is a make obsessed creature like myself, so you might think- that's insane! But, reviewing makeup is what I do, and I feel like finding a great mascara is a really challenging thing for most people (myself included). It's hard to find a mascara that is universally loved... because we all have such different lashes... just like we have different hair on our heads. What your best friend loves... might not work for you. I've sort of made it a goal to find a mascara that everyone would love. 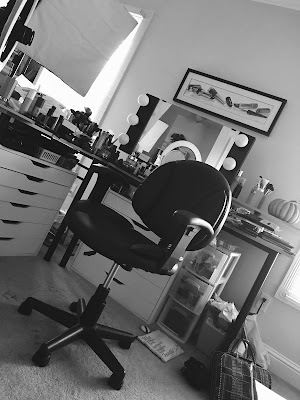 I know it won't be easy... but I'm embarking on MASCARAPALOOZA 2011! 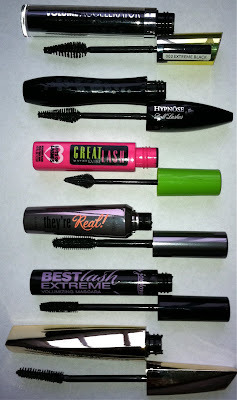 Here's the lastest round of mascaras I've found in stores that I'm testing out... from a variety of price ranges. I'll let you know what I think in future blogs & videos! Have you noticed all the brands that are putting out cone-shaped brushes? Rimmel Volume Accelerator: Claims to have an "Advanced Volume Boosting Complex" that will make lashes look 10x fuller instantly. Lancome Hypnose Doll Lashes: "Fiber Shine" formula claims to sculpt, curl, and load each lash for the ultimate shiny lash fringe without weighing lashes down. Maybelline Great Lash Lots of Lashes: Cone shaped rubber bristle brush... claims to multiply lashes with no clumps. Benefit They're Real! : Rubber brush that claims to lengthen, volumize, curl, lift, and separate. The long-wearing formula claims to not smudge or dry out. Jordana Best Lash Extreme: Claims to provide immediate, extreme volume with a formula that's buildable without clumping. L'oreal Voluminous False Fiber Lashes: Claims to have a lash sculpting fiber formula that will adhere to lashes for a volumized, sculpted lash effect. As you can see, all of these brands seem to think they've come up with God's gift to lashes! 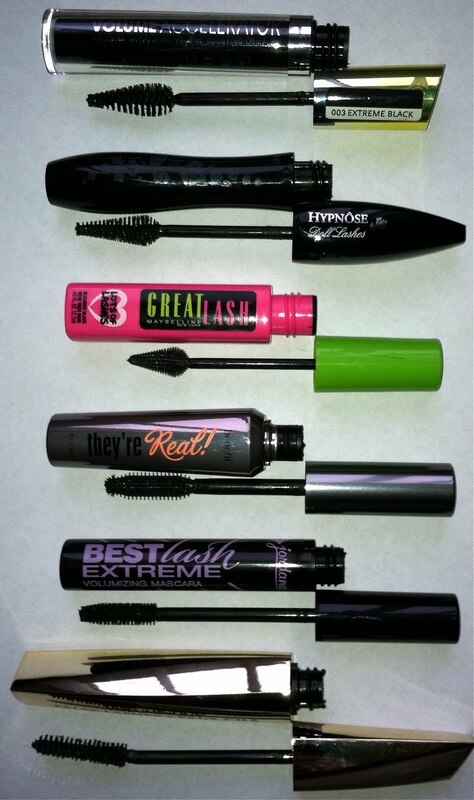 We'll see if any of these can beat the mascaras I talked about in my most recent Mascara Favorites video! Made Chicken Corn Chowder in the crock pot yesterday & LOVED it! It has been raining allll day. Cupcake has found a new hiding spot, deep in my closet & out of sight! I'm not sure I understand what a cone shaped brush is going to change? I can't wait to hear you're reviews of them. I'd love to get a couple new mascaras! Thank you for doing all the reviews! 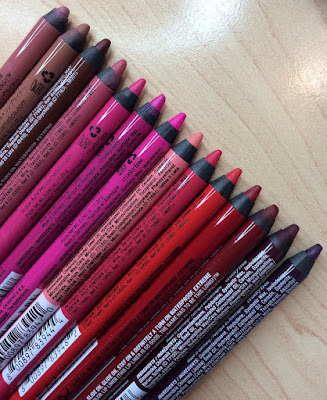 I would LOVE to see the reviews on all these - especially the Rimmel one as I have been eyeing it for awhile. Your reviews are always so helpful, and as you said, I have had trouble finding a good mascara. I just blogged about how the Lashlight mascara broke on me! =( And it is so expensive too! I'll be looking forward to these reviews too. Personally I find it hard to use the cone shaped wand, because I don't like to use my opposite hand to apply mascara- and flip the wand - hope that makes sense. I still think the Almay Triple Effect is the best - but I've really been liking CG Lash Perfection. Looking forward to hearing your thoughts on these, especially the Jordana one! Gotta love affordable mascaras! This is a great idea! I have never been very picky about my Mascaras but I have been recently paying more attention to them. I haven't tried too many, and a few of the ones that I have tried in the past I don't remember much about because I never cared a lot. I have been using the Maybelline Big Lash one recently (not the cone brush). I actually re-purchased it just over a month ago and I like it quite a lot. I kind of wish I had picked something else to try out but next time I will, and I look forward to watching some of your videos for an idea on what to try out next. sounds like a fun filled day I love it...oh and I just printed out your corn chowder recipe yay. Do you have a favorite tinted moisturizer? I'm loving the ELF Studio Volumizing and Lengthening Waterproof Mascara right now! I know Emily has said it was very natural looking on her, but it works amazingly to lengthen my lashes, and it never clumps. I can't wait to see this review! I too wonder what the cone shaped wand will bring to the table. I tried out NYC's City Curls mascara (pink tube) and for a inexpensive mascara it works well. It curls a bit - even without the eyelash curler, and more than most regular formulas. Loving this post! Great to see the comparisons. Have you tried the Amplified Lash by Buxom? I really love that one too. Will you be reviewing any Japanese mascaras in the future? haha God's gift to mascara- i cant wait to see which one is the true gift! Looking forward to the review of Benifit's they are real. Lot of hype about that one. I love mascara! I want to try benefits they're real. Can't wait! I'm really interested in the GL i really want to try it but i'm holding out until your reviews! I have been using the mary kay mascara and it appears to go clumpy after a month. Cant wait for the review! Thank you for your advice, your suggestion of the NYC bronzer in sunny was spot on and all the products you review that I have picked up have been winners. Thank you for being "make-up obessed" and making videos they have been great! Love the video. Great tips! Have you tried Bourjois fast & perfect rotating mascara. I normally hate volumizing mascaras and never use them, but this one is great :D. I think you might like it.